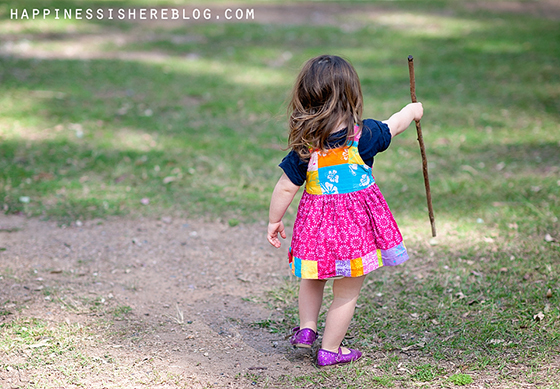 ← Are You Qualified to Homeschool? 1- Children have a right to bodily autonomy. That means children are the boss of their own bodies. 2- Children have a right to say no to any physical touch at any time, and this right should be protected by parents. 3- Children have a right to decide what their body looks like – what they wear, how they choose to have their hair, etc. If you’re not cool with these things, then here are some really awesome posts you need to read, like yesterday. Ok, now we’re all on the same page… we know that children have these rights. We know this is best for them. Of course they shouldn’t learn that another person has more power over their body than them. How dangerous is that? 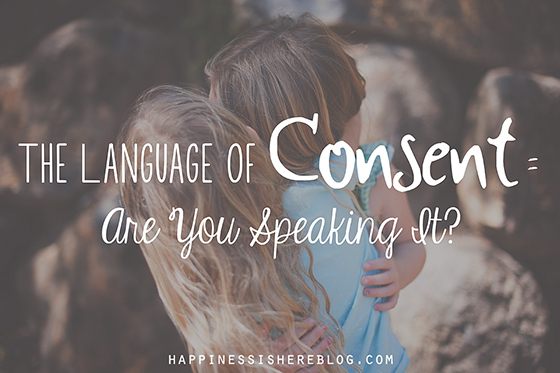 And yet, if you are around children and their caregivers for any period of time (whether that be parents, teachers, relatives), and you listen to the language that most people use with children, you will hear that a lot of our words do not convey consent at all. Sure, we agree with the big things. We recognise that Great Aunt Ethel forcefully planting a sloppy unwelcome kiss on a cringing child’s cheek is a no-no. We step in and say ‘ahh no thank you, he/she is not comfortable with that’. We have conquered that area! But what about the subtle messages we are sending with our words? We wouldn’t dare speak to an adult like that, dropping the niceties and reducing the conversation to mere demands instead of communication and requests. So why do we do it to children? If we want our children to know that they are truly in charge of their bodies, then we need to act like it. And not just about the big stuff. We need to speak to them as if they have the right to make decisions about their own bodies/minds/life. We need to convey that they are consenting participants in this relationship. Demands don’t do that. Our body language can also convey our children’s right to consent. We don’t touch or do things to a child without asking, i.e. picking up, wiping noses, putting on clothes, changing nappies, etc. Yes, even young children who are not yet verbal. We are still able to communicate what is happening, move slowly, wait until they are ready, use gentle hands. We can stop when they give us signs that they are not comfortable with what we are doing, wait until they are ready. Lack of verbal skills does not mean lack of humanity and rights. 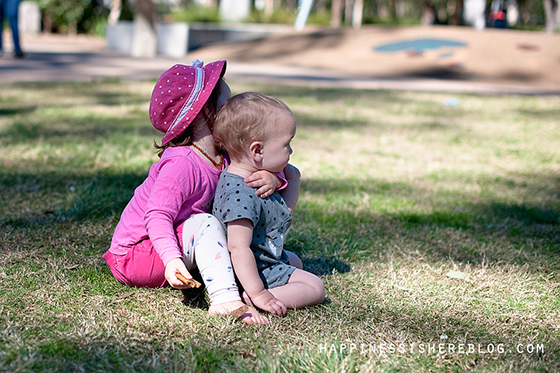 All children can communicate, we just have to listen and observe. Children have big emotions. Often over things that adults deem insignificant. Because of this, we are frequently dismissive of how they feel. In our mind, they are overreacting. As well as feeling that they are in charge of their own bodies, we need children to know that their feelings and intuition are valid and important to listen to. This helps keep them safe. 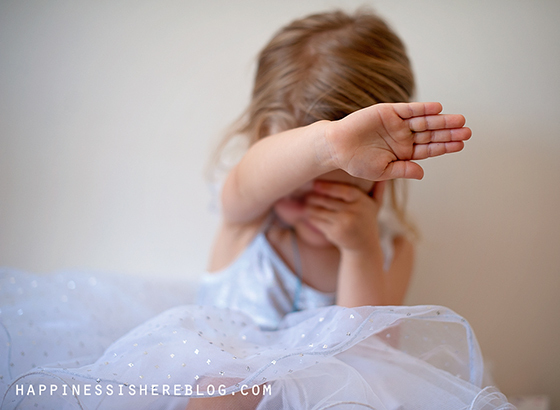 We don’t want children to feel ashamed or embarrassed about how they feel, or that they need to hide their feelings for the comfort of others. 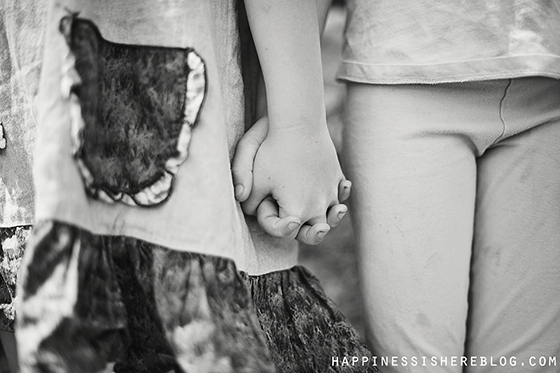 Acceptance of our children’s feeling is so important. They need to know that if they don’t feel comfortable in a situation, for any reason, then they should trust that feeling. A very important part of consent is the ability to say ‘no’. But so often children do not have their ‘no’ respected. Whether they don’t feel like getting dressed, going to the park with friends today, eating the dinner you prepared for them, or going to bed on your schedule, their ‘no’ is seen as insignificant. A parent is presumed to have the right to organise their child’s life. Though things like sleep and eating are clearly related to bodily autonomy, most people don’t extend children’s rights to these areas. When children tell us ‘no’, much of the time they are either forced to do things anyway, coerced, or shamed. 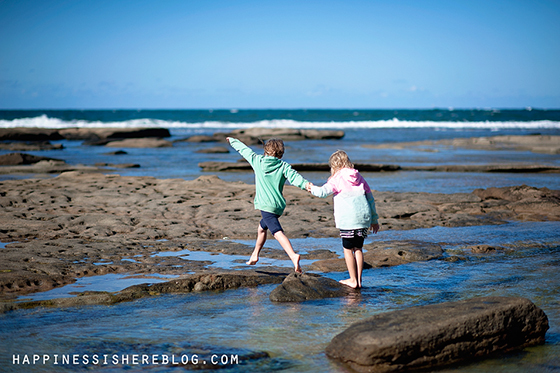 When we guilt or shame children for their opinions and choices in other areas, when we exert power of them instead of cooperating, how can we then expect them to feel they are in control of their own bodies? When children say ‘no’, it can not be met with guilt or force. We need them to know that their ‘no’ matters. Always. What do you do instead? This post might help. What about when you HAVE to override autonomy? These instances are honestly rare. Rarer than mainstream culture would have you believe. We are told that it’s our job to get our children to do what we want them to do, and that they naturally resist us so that force and punishment are necessary. Not true. Connected parents who are not controlling are likely to have children that are willing to cooperate and want to find solutions that everyone is happy with. When our needs are not in alignment with our children, we can choose to simply communicate with them, rather than exert our power over them. People will try to tell you that you shouldn’t phrase things as questions to children when they are clearly things that they have to do. Why not? Why are we so afraid of children believing they have a say in the decisions of their life? Would you ever use this kind of thinking in another relationship? If there was something that you expected your partner to do, wouldn’t you still ask instead of demand? I mean, it’s just common courtesy. Is it any wonder that so many complain about children being demanding when we have taught them that is an appropriate way to communicate? Choosing kindness, manners, courtesy, connection, and respect is not only more pleasant, but it achieves your goals anyway. 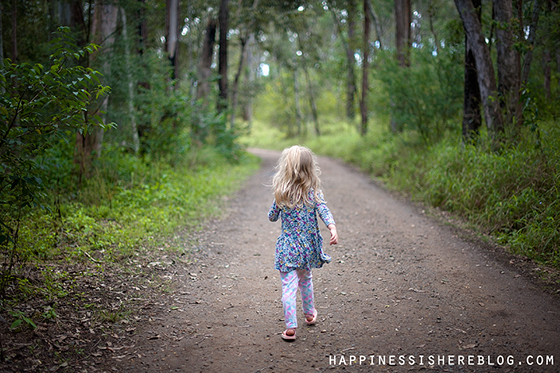 Children learn what they live, they will grow to treat you the same way. They will be more willing to cooperate because they know you are reasonable and open to listening to their point of view. Consent is such an important concept to teach our children and we have such an opportunity in everyday life to respect their rights and autonomy, ensuring they will always know ‘my body, my choice’. 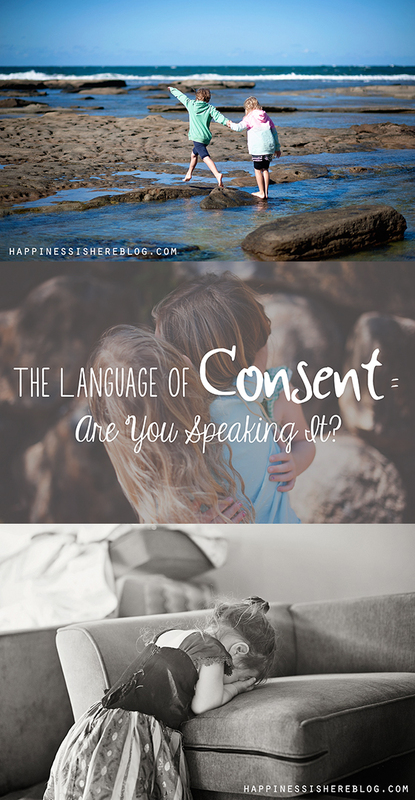 Are you speaking the language of consent? Ah the focus of one child..try it with many. The dominant personality will manipulate the rest creating dysfunctional power relationships. So what am I supposed to do when my 3 year-old won’t get dressed, won’t brush her teeth, won’t get in the car to go to school….and I have to get to work on time? Sara, I would really value your thoughts on the above comment and the topic of toddlers/pre-verbal children in general. I’m also struggling to apply some of this to my 16 month old who has a hard time with getting dressed/having her nappy changed. I work 3 days a week and on those days I can’t always wait until she’s ready to do these things because I would risk losing my job if I were chronically late. What are your recommendations? how to say no to certain things/setting boundaries respectfully (e.g. 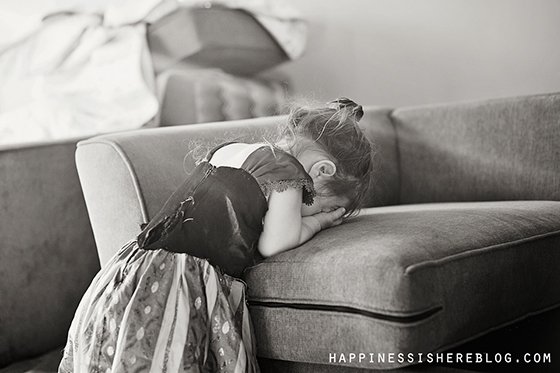 when she bites/hits me – and other children – in either play/frustration which happens a lot). I’d also love to hear your thoughts on how to negotiate and be respectful to a child who cannot express themselves with words. I’m finding it really tough and would so value your insight. Angharad, I know your comment is a few months old now, but I wanted to recommend this book to you and anyone else with similar questions. It has LOADS of practical examples with the kinds of things you could say and do. I think it’s mostly in line with consent-based parenting ideas, and lots of it can also be applied to very little children. It has definitely helped me. And I’m a massive fan of sara@happinessishere!